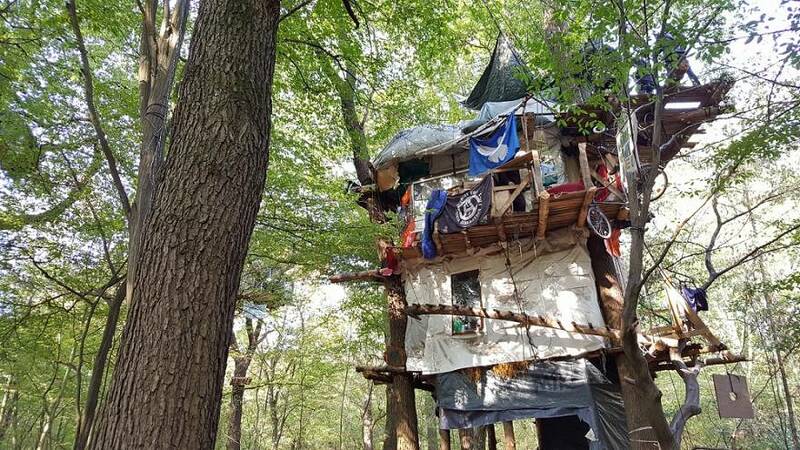 A man died on Wednesday in Germany’s Hambach Forest after falling from a bridge suspended between two treehouses, which environmental activists have been using to block a coal mining project, police reported. In a statement on Wednesday evening, police in the city of Aachen said emergency services rushed to provide first aid to the man, who is believed to be a journalist, after he fell from a “high-altitude” bridge. “Unfortunately, the man succumbed to his serious injuries,” it said. The statement did not give any further details about the identity of the victim. Aachen's police force has spent the past week removing activists from the ancient forest. However, police stressed that no operations were in progress in the area when the man fell, and said other efforts to clear protesters had been halted following the incident. The government of North Rhine-Westphalia state later confirmed that it was halting work to clear the area. The forest, west of the city of Cologne, is believed to be up to 12,000 years old. Protesters have been trying to prevent utility RWE from clearing the woodland, which it bought decades ago, to expand mining in the area. Environmental activists have argued that the forest should be saved, and urged Germany to stop extracting and burning fossil fuels.